A virtual health clinic, focused on supportive care. Expert and convenient care wherever you are, when you need it. Welcome to Care Connected. Expert and convenient care wherever you are, when you need it. Welcome to Care Connected, a virtual health clinic. We believe quality care should be available to anyone, anywhere. Care Connected is accredited through the Australian Council on Healthcare Standards (ACHS) EQuIP6. This accreditation underpins our commitment to safe, high quality health care. Our leading cancer support program aims to help you maintain physical wellness and manage typical side-effects, such as fatigue and appetite all from the comfort of home. Upcoming surgery or treatment? This prehabilitation program aims to help you prepare with fitness, strength and knowledge for the best possible recovery. Struggling with a prolonged sense of fatigue? Need support and advice? Care Connected has developed a 16 week program delivered remotely across Australia. Have you had recent surgery or other hospital admission? Did you know that often you can complete a rehabilitation program at home? Work together with a health professional to improve the aspects of your health that are important to you. Our programs are tailored and focus on getting to get you on the path to wellness. Have you been reading about the importance of exercise for improving health and wellbeing? See one of our Exercise Physiologists, specialists in exercise and movement for the management of many conditions, including cancer. Have you had recent surgery or injury? Our physiotherapists will work with you to aid recovery, reduce stiffness and pain, increase mobility and improve quality of life right from the comfort of home. Our Clinical Dietitians provide expert nutrition and dietary advice for the promotion of health and the treatment of illness. Our team includes experienced professionals who you can access from anywhere! 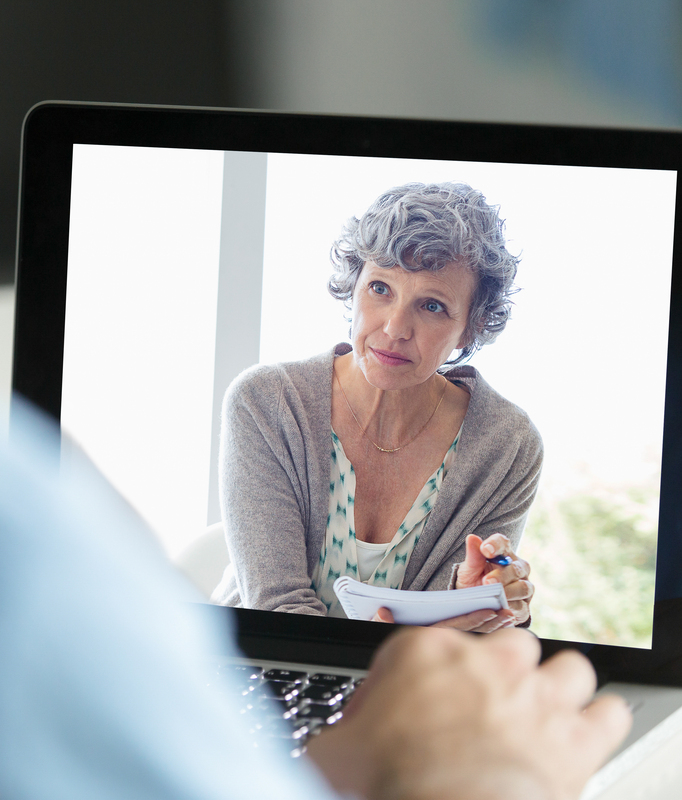 See a Psychologist from the comfort of home. Our team help people with a range of health conditions and their families adjust to emotional and psychological challenges. Our Care Coordinator will guide you through each step of your service or program, and can help with equipment issues, appointment scheduling and more. They are essential in naigating you through the health system and connecting to local services. Our experienced Speech Pathologists help with communication disorders, including difficulties with speaking, listening and using voice.